I’ve been meaning to write this for a fortnight – but have been too busy just listening to music! I looked at the designs on the EJ Jordan website, thought about building DCR (which has 2 Eikona 2 units) or even the 4 unit line array, but decided to start with something simpler first – the Eikona Reflex 7. 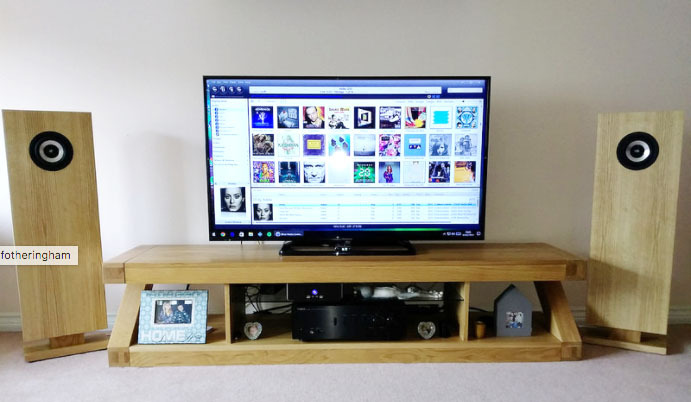 I bought a kit from Wilmslow Audio – they are very helpful and a pleasure to buy from. Also had some extremely helpful email exchanges with Colin at EJ Jordan – he is a mine of useful information and references. So, what does the Jordan Eikona Reflex 7 sound like? Well, to say that I was surprised would be the understatement of the decade. I really hadn’t expected a small box with single-unit to sound this good. As Steve and others have said, the level of detail is exceptional. For me the best thing is a feeling of ‘coherence’ – everything sounds just as it should – especially live recordings, jazz, blues, vocals. I could go on and on (but won’t). Stereo imaging is also superb. Are they as good as my previous, floor-standing, active speakers? Well, in some respects, no. They don’t quite have that sense of authority that the actives have (especially when playing rock music at high volume) – but we are talking about a drive unit with half the cone area here and lower power handling. Top-end treble might also be a little lower … but where they are better is in the midrange – the lack of crossover causes this, I expect. The Eikonas provide more insight into the recording and were more involving – my foot taps just a little more often. The Eikonas provide more of what I want – stereo image, coherence, insight, they make my foot tap etc etc. Every day I hear things that surprise me (little nuances on tracks I know well) and the change to Eikonas feels better and better. Interestingly, a neighbour who isn’t at all into Hi Fi popped in. 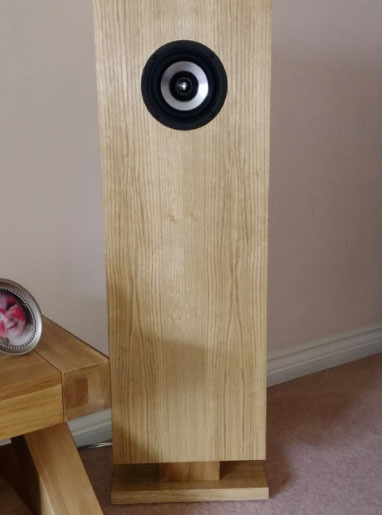 He had previously heard my active speakers and thought that they were good – but he was amazed by how good the Eikonas sounded. My partner also agrees – and she has a very good ear. So I’m beginning to think that maybe it isn’t expectation bias and that I’m not deluding myself. What next? I have yet to decide whether the eventual solution will be 2 or 4 Eikonas per speaker, what sort of cabinet / alignment, whether or not subwoofer will be needed (even the Reflex is not exactly bass shy) .. but, for now, I’m just enjoying hearing little nuances on that I hadn’t quite detected before. It’s a cost-effective way to get a new music collection! You can find details of the EJ Jordan Eikona 2 here and plans for the Reflex 7 here. Wilmslow Audio can provide a full kit for the Reflex 7. As ever, if you have questions about any of our designs, drop us an email and we’ll be happy to help. Binaural audio on the BBC has a history which goes back to 1978 and the ground-breaking, wordless radio play The Revenge, by Andrew Sachs. 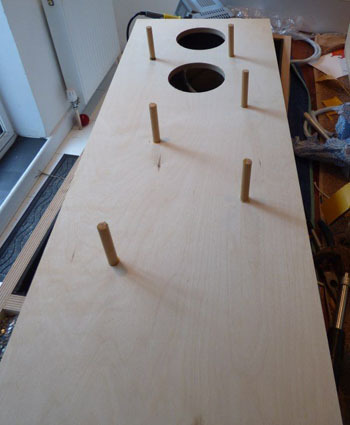 The experiments continue to this day and you see frequent updates on the BBC Research Blog. One aspect they are exploring is synthesised binaural sound, based on existing recordings. You can listen to how well this works with this new BBC recording from Manchester’s Bridgewater Hall of the BBC Philharmonic playing Hector Berlioz’s Symphonie Fantastique. Please note that this iPlayer recording may not be available to overseas listeners and is only online until 25 June 2017. 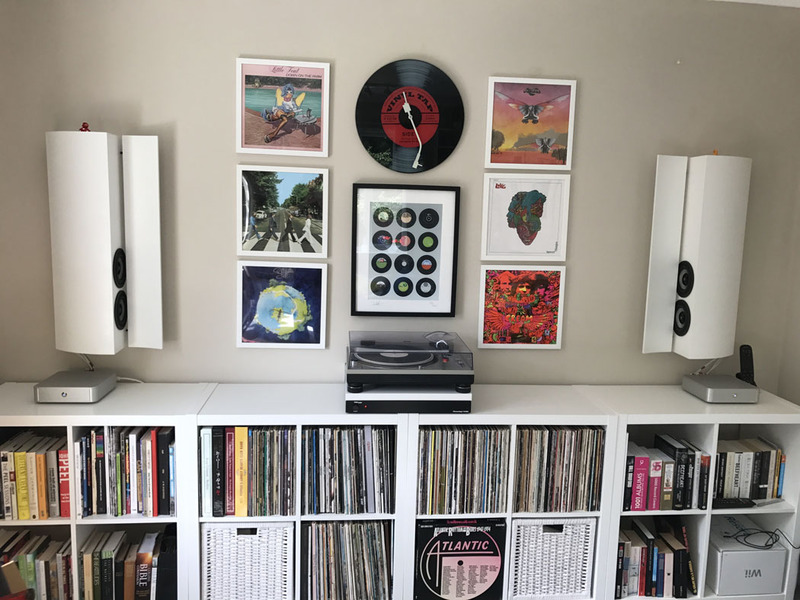 “It has been over a month now with the Jordan VTL speakers, so I thought I would post a brief review of my thoughts in case it benefits others. I realise that music is such a personal thing and critical factors such as source, cables, material and listening room can all affect the end result, but I will try to articulate my experiences thus far. Separation is experienced across the complete frequency spectrum in layers with a tonal balance that especially makes instruments such as piano, double bass, violin and guitar an utter delight to listen too in the form of a fuller bodied sound which is fully demonstrated by Roo Pane – Deeper than shallow . The instrument decay on some of the recordings just seems to go on until the recording master has actually stopped it. It is that clear, you know when it has happened, not whether the speaker struggled to communicate the decay accurately towards the end. Nuances are also improved. One particular track I use to define this is from The Beatles “Orange Album Greatest Hits – Get back” (24-bit edition). There are people in the background of this uncut track right at the beginning which are audible, but my measure of detail retrieval is how clear those people actually are when the track begins, before Paul and John start playing. Those voices can be heard very clearly on good headphones saying “careful” …, “I dunno”, but up until now I have struggled to get that forward clarity into my living room on 2-channel speakers. I have it now! The famous track from Pink Floyd (wish you were here) at the beginning with the two commentators on the old radio is another example that previously seemed as though the voices were in the weeds lower down on the right-hand side, but you could still audibly make them out. Now, they are at mid-level height on right channel, and as clear as any other recorded voice on that track. Michael Jackson`s – Thriller is another where the footsteps present an illusion of walking around the speaker on the right-hand side first, before walking across to the other channel and not just right to left. It is so clear in it`s rendition. 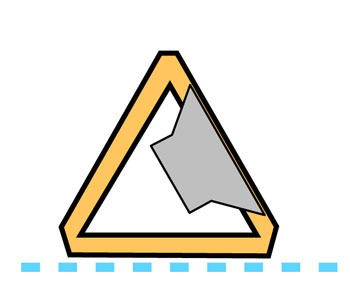 Another area I feel that is more defined is with micro detail. I guess everyone feels a sense of pride when their stereo system conveys the opening breath before a singer starts, but with the Jordans you also get the room ambience during sessions. I could probably calculate the size of the room the singer was recording in (possible slight exaggeration), but you get the point. It is that clear. 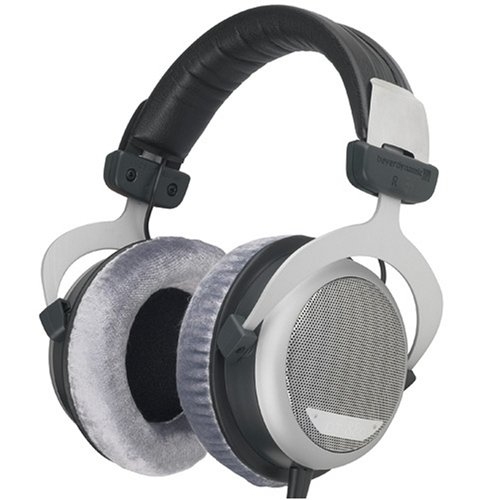 A balanced sound is probably where people split on different sides on the HD800 headphone debate. I like a bit of warmth, and to be honest there are some recordings now that make me think “why on earth was it recorded so dry”, or “where is the bass on that track”, so I have subtly added a subwoofer that helps with this when needed. 95% of the time, I just switch the woofer off. On well recorded tracks, enhancing the bass is not needed and on listening to music like Ray Lamontagne`s album (Trouble: track – Shelter), the bass swings down to the floor on the right, then the left-hand drumkit comes into play doing the same ten bars later. It was one of those jaws dropping moments during early listening sessions with the Jordans that truly showed me what these speakers were capable of. You look at the diameter of the speaker in front of you and think…. How on earth!!? Vinyl LP records continue to hold a place in the hearts of many. From dominance of the market in the 60s and 70s, they now occupy a small but resilient niche. Occasionally their sales outstrip downloads, albeit in value terms rather than quantity (LPs are now a Luxury Item and music companies charge accordingly). One thing is undeniable – they can can generate many a heated discussion amongst audiophiles. Some people swear by LPs, others swear at them. Here is an interesting perspective from professional recording magazine, Sound-On-Sound. Here at E J Jordan Designs we take an agnostic view. 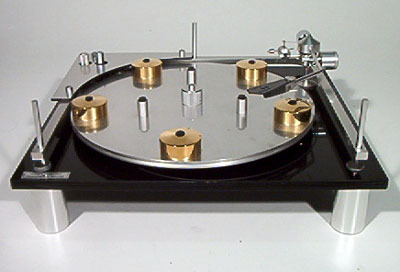 Turntables can be wonderful mechanisms with a charm and delight which a CD player or computer download will never match (the Transcriptors Saturn above, for example, which featured in several Hollywood movies). There are many technical reasons for the superiority of digital but there are also good reasons why an LP master may be better, in some circumstances. We have customers who are enthusiastic about analogue and digital (in the workshop here, for example we have a fondness for open reel tape machines). E J Jordan Eikona speakers will sound good on either medium and you will find that the better the playback equipment, the better our speakers will enable you to hear your music. Soundscape – the sound of the environment around us – is becoming a popular field for exploration. Whether it is the hum of the city or forest birdsong, there are numerous examples around the web for you to explore and enjoy. But it is not only modern soundscapes which are the subject of research. Dr Mariana Lopez of the University of York Film & Music Department recreated the soundscape of 16th century York as part of the UK’s Being Human Festival. 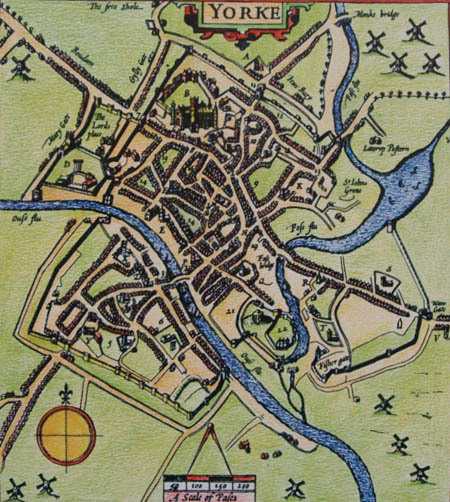 The soundscapes included church bells, animals, music – the sort of soundscape you would have encountered if you had wandered the streets of York during one of the Mystery Plays some time during the 15th and 16th centuries. The installation ran in Bedern Hall in York between 18-21 November 2016. Click here for full details. There will be a stereo version of it on the University of York website soon. No, it’s not the title of the latest Richard Curtis rom-com. 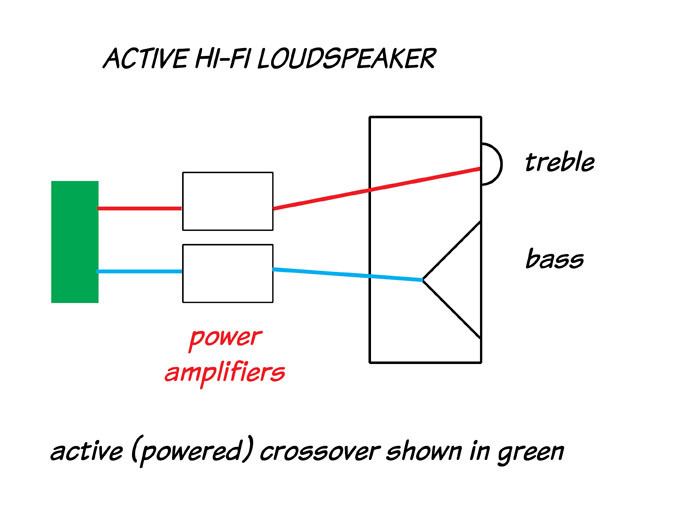 Passive, active and single refer to the three primary ways of designing hi-fi and studio loudspeakers. 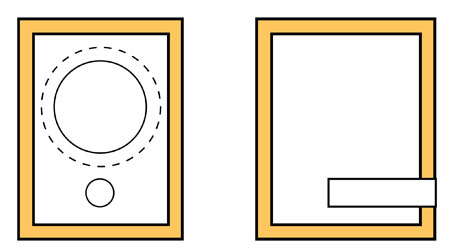 Most loudspeakers feature multiple drive units, each of which has a restricted bandwidth. 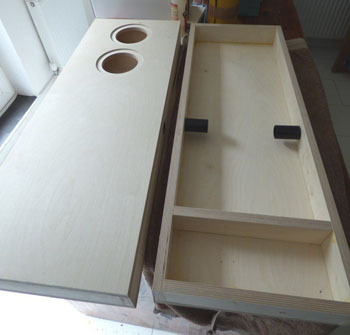 For instance, in a typical two-way design the bass/mid unit may cover 50Hz to 3000Hz and the smaller tweeter will take over from there to around 18000Hz. 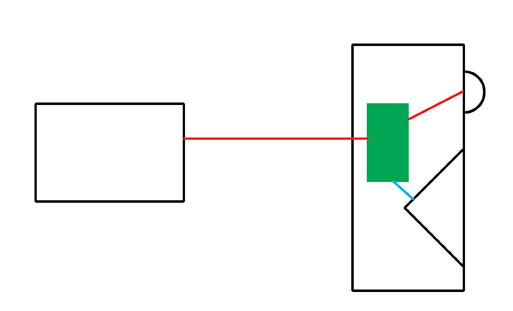 How the two units are connected defines whether the speaker is a passive or active design. A single, full-range speaker is one drive unit which endeavours to cover the whole frequency range, from 50Hz to 18000Hz. 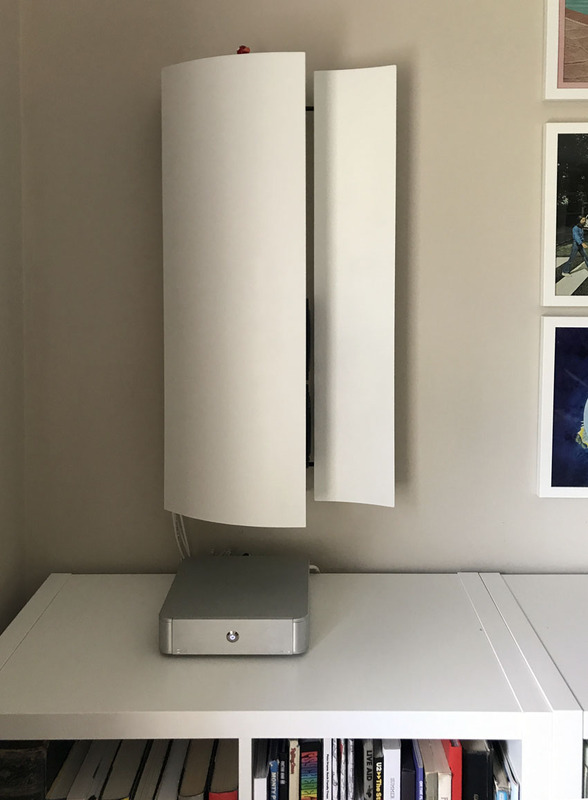 All three have advantages and disadvantages – the art of successful speaker design is knowing which compromises are acceptable and designing accordingly. These dominate the hi-fi market. They use passive (non-powered) crossovers featuring components designed to operate at tens of volts and high current. 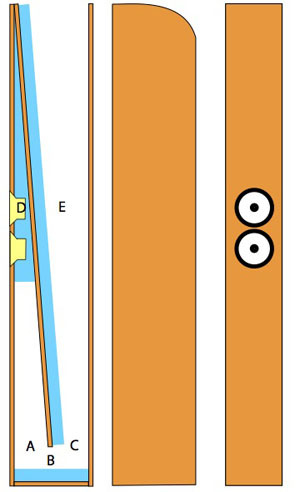 This makes the components large and expensive, particularly if close-tolerance parts are used. Even at relatively low powers, the components can exhibit significant harmonic distortion which would be deemed unacceptable in an amplifier or other electronic hi-fi component. Furthermore, at higher powers, the components may heat up, their values may change and the crossover point – carefully calculated and designed for, often with computer modelling – will no longer be at the optimum frequency. Finally, the crossover appears after the power amplifier, and effectively decouples the drive units from the amplifier, allowing no electrical damping and control over the movement of the cone or dome. Technically, these are a huge improvement over passive loudspeakers. The crossover is powered, like a preamplifier, and uses small voltage components, making them cheaper, closer tolerance and cooler running. An active crossover can be designed and manufactured much more accurately than a passive crossover. The amplifiers come after the crossover and are connected directly to the drive units, allowing much greater control and damping. Distortion is a magnitude less than with a passive system, something one would think all hi-fi enthusiasts would strive for. 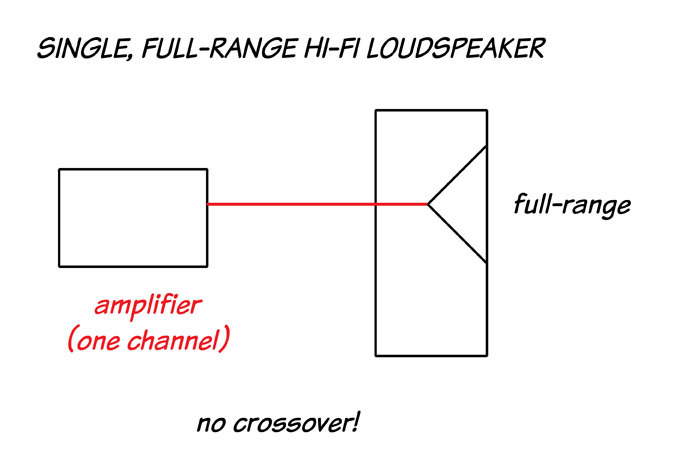 The main disadvantage over a passive speaker is the requirement for a second power amp. However, the power amps themselves can be smaller – they are precisely matched to the drive unit with no requirement to drive high-current loads. Many systems – for example, Linn, Meridian, AVI, Bang & Olufsen and Genelec – fit the power amplifiers within the loudspeaker cabinet, leading to a further cost saving in expensive metalwork for the amplifier. 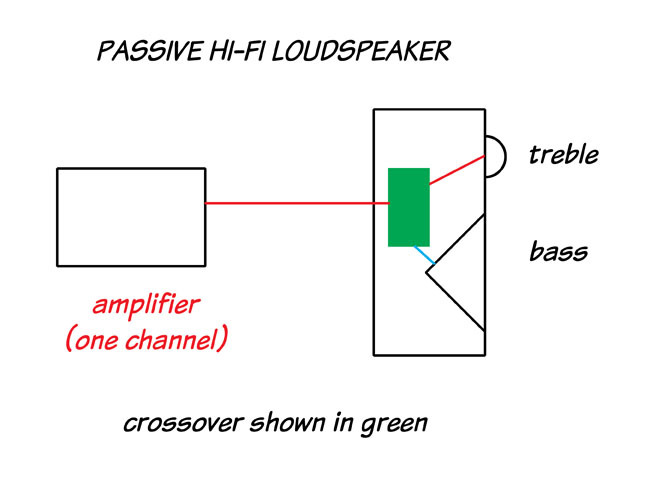 Despite these advantages, the active speaker shares with its passive counterpart a number of significant problems.The sound is still generated by two or more separate sound sources, leading to a lack of focus. The units themselves may be wildly dissimilar in both design (cones and domes or ribbons) and materials. The units may have different transient responses, as you might expect when trying to match a lightweight dome to a heavy plastic or paper cone. Would you be happy to listen to a piano solo split between a church organ and a harpsichord? 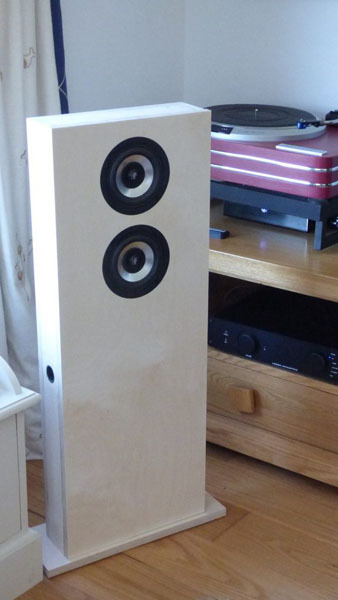 Despite their apparent simplicity, these can be amongst the most sophisticated loudspeakers available. The sound is generated by one drive unit, usually from one point in space and manufactured using one material. The sound is more focused, coherent and natural than the best active or passive speakers. 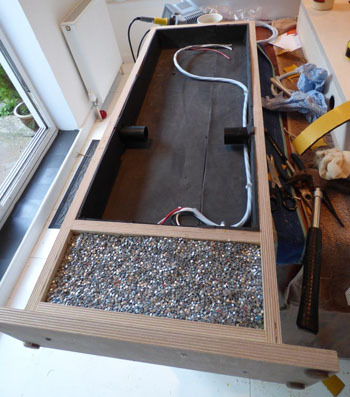 There is none of the distortion and poor damping of the passive speaker and they avoid the complexity of the active. 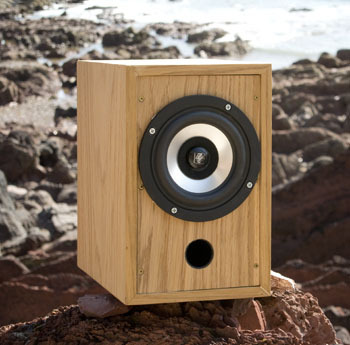 But a high-end, full-range speaker is not the easiest or cheapest thing to design and manufacture. The Jordan Eikona 2 is the culmination of decades of research and development. The proprietary materials used are expensive and specialist in nature, many of them hand-tooled. So the single, full-range driver has many advantages over the active and the higher cost of the drive units is offset by the need for only one power amplifier, the choice of which is entirely left to the end user. The results are worth it. Listen to the Jordan Eikona 2 and instead of a loudspeaker, you are listening to music.